There are many language based puzzles. This website being visited by international audience, we have tried to created many different type of puzzles which are English language based. 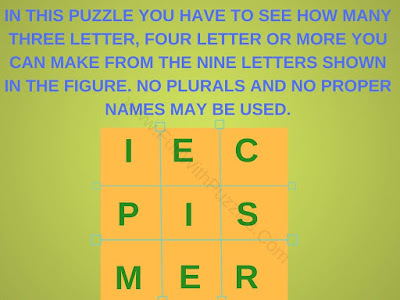 In some of these puzzles, one has to fill in the blanks and has to complete the idiom. In some of the the word based puzzles one has to guess the English Idiom from the picture. There was another in which not much knowledge of English language needed where one has to find the hidden words in the pictures. 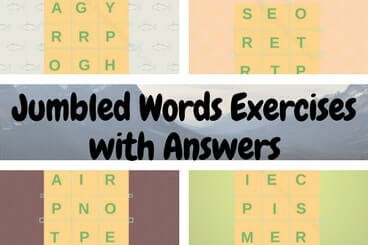 Now it is test of your English vocabulary with this Jumbled Word Exercises. 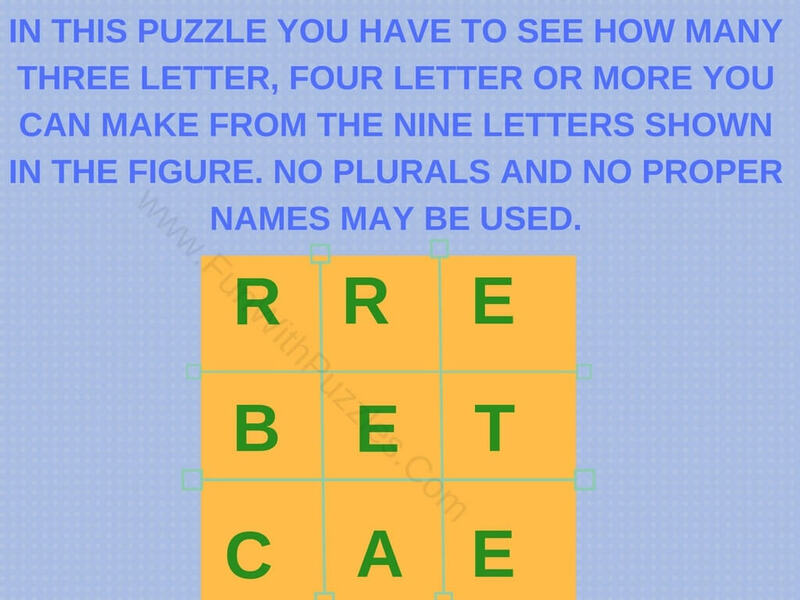 In each of these Jumbled Words puzzles, there will be nine English letters given and you have to create as many words you can create of length more than two letters. It means try creating the words with 3 letters, 4 letters and more. No given letter should be repeated until it is given more than once in the given letters. No plurals and No proper names may be used. 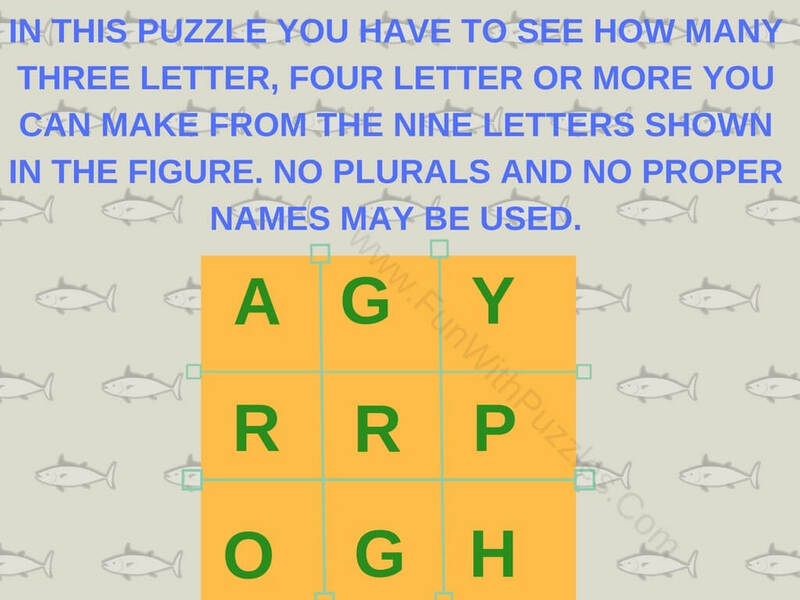 Lets see how many you can find in each of these puzzles? Answers link to these puzzles is given at the end of this post. Write down your answers and then see the answer to check out that which are words which you could have created more with the given letters. In the answers, we have tried to include as many words as possible. However in case we have missed any particular word, please do post it in comments. It will be nice learning for us to find missed out words. 1. 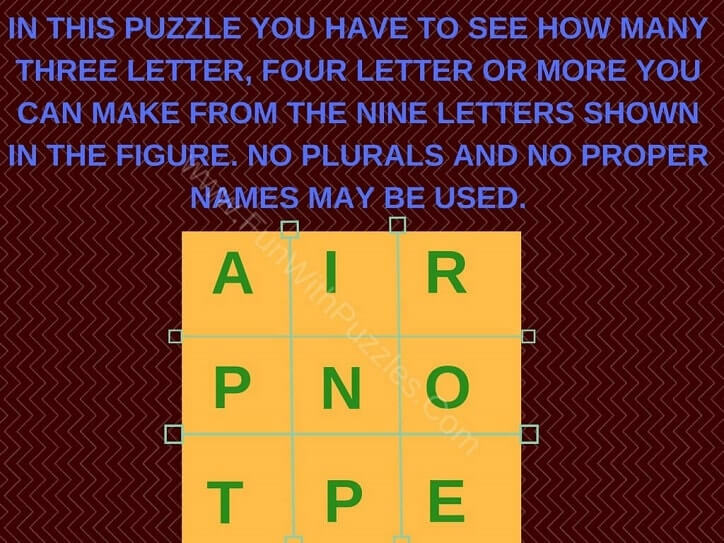 How many words can you create using these letters? 1. 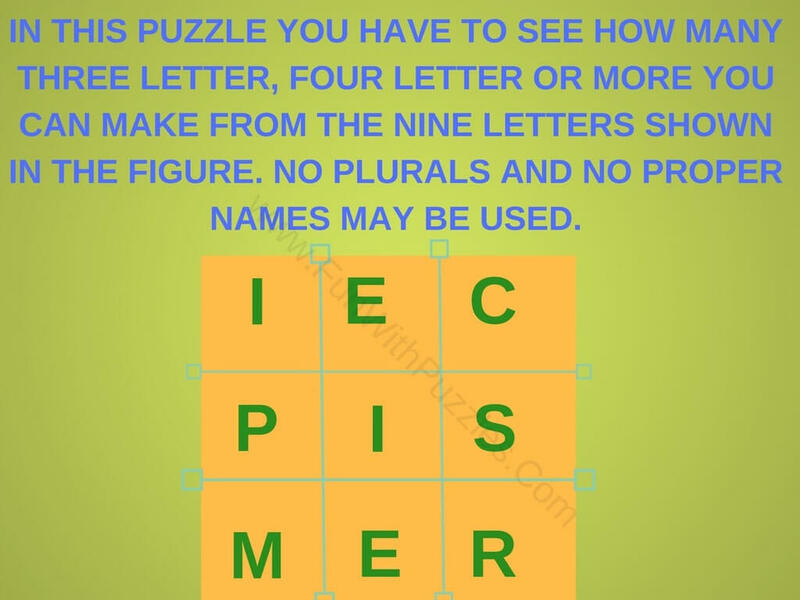 Brain Teasers to Boost Students' Critical Thinking Skills: These are very interesting brain teasers which will enhance critical thinking skills of students. 2. 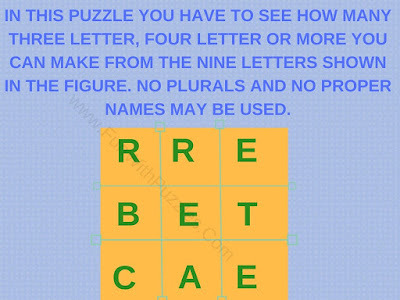 Quick Puzzle Riddles with answers for kids: These are the quick "What am I?" 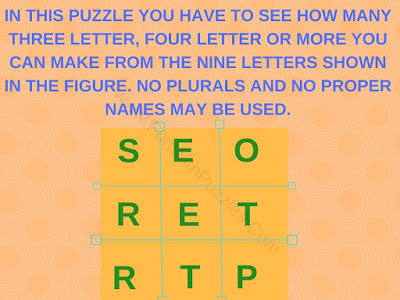 type puzzles for kids in which one has to guess the thing which is being talked about in the statement of puzzle riddle. 3. Fun Maths Number Brain Teasers for Kids with Answers and Explanation: These are fun Maths Number Brain Teasers. 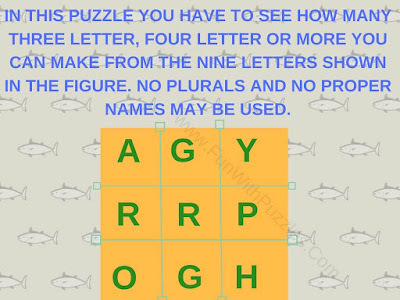 These are easy puzzles for kids. Do try out if you like solving Maths brain teasers. 4. 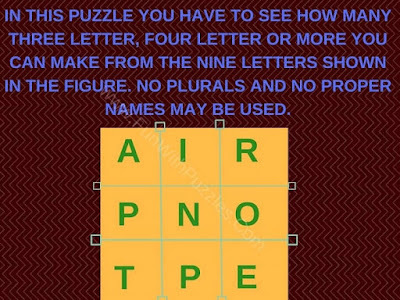 Out of Box Thinking Fun Brain Teasers with answers to Challenge your Mind: Try out these out of box thinking fun brain teasers which will challenge your mind.